Thanks goes to aragornbird from TPM for this wonderful drawing of Blazer. Kiara is the self-appointed mother of my team. If any of my pokemon have a problem they usually go to her for her advice. 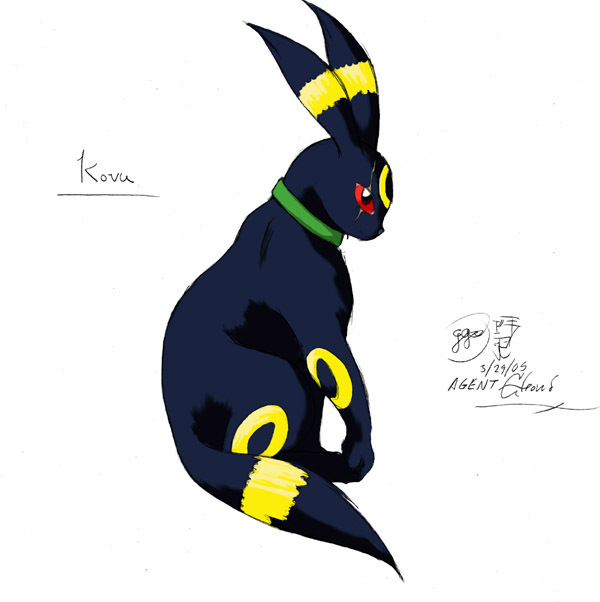 Thanks goes to Meowth_Kitten from TPM for this wonderful drawing of Kiara. Kovu is a laid back guy, though he can be serious and protective when he feels certain situations merit it. Sweetie is Kovu's daughter. Sweetie is one of a extremely rare case of triplets, sadly the other two have all but disappeared. Becuase of this Sweetie and Kovu have a close relationship. Kovu was able to make it to the second round in the Dragon Gams. He did his best, and I am proud of him. Kovu has a scar cutting down the right side of his face and across his eye. It was the result of a battle with a crazed granbull. People who don't know him are a little nervous when they first see him becuase the scar makes him look fiercer than he is. Add to the fact, he's a dark type... He is actually a pretty nice guy and enjoys haging out with his riends. Howevver, he doesn't care much for granbulls. He and Kiara also have a daughter, Sadie, that stays with M_K. She's also close to her father. Kovu has a crush on Midnight and recently descovered that she too cares for him. So he's been in a pretty good mood lately. I drew this pic of Kovu. I'm extremely proud of how this drawing came out given my trouble with drawing eeveelutions. If Kiara is the mother of the team, then Sugar is the practical joker. There is nothing more that Sugar likes to do than to get into mischief. She has a fondness of hiding by the door of he Eevee House and tackling whoever enters. But you can't stay mad at her. When she gives you her "Who me?" expression you melt like butter. She loves M_K's flareon Jesse. Together they have a twin son and daughter (Torrey and Ayla). Since having her twins Sugar has calmed down a lot. However, whenever she is in one of her moods, be on high alert. Anything can and will happen! 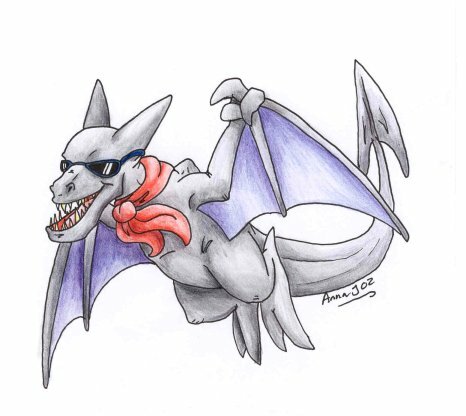 On Feburary 28, 2002, Flame's dream of evolving into a charizard finally came true. It was the result of winning a very tough battle against a fellow charmeleon, (T_M_L's) Drake. It was a very close match. Flame's best friend is M_K's chrmander Zippo as they met not long after i adopted Flame. The like to have fire shooting contests. Talut's dad is Bahamut and his mother was a dito. As a dratini he loved to perch around my neck. He is the father of M_K's blue drgonite Blueshadow. 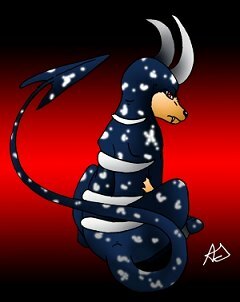 Talut evolved into a dragonair on January 12, 2002, and into a dragonite on February 18, 2002. 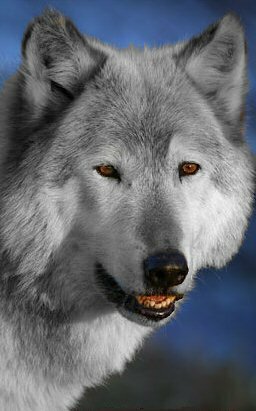 Talut isNot up for breeding nor will he be. I said I would only breed him once a long time ago and I have. Thanks to Cynder for the above icon of Jasmine. Thanks to M_K for this icon of Jasmine. My old Ditto Mirage bred with Dark Dragonite's Dragonite Mercury on October 11, 2002. Her egg was laid on October 13, and hatched on October14, 2002. 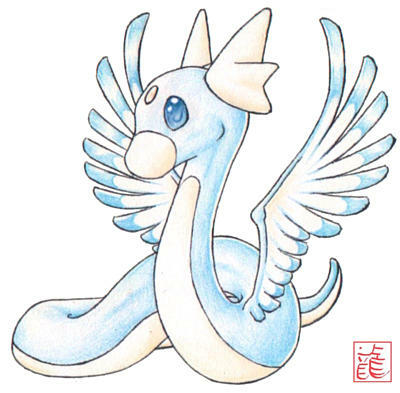 She herself has one daughter, Link10's winged dratini Eiko. Jasmine is a mutant dratini. In other words, she was born with wings, and is part flying type. She will learn fly naturally at L.28. Jasmine is very good natured and enjoys doing things her way. Jasmine was very protective of her younger sister Khaisa when she was around. Unfortunately, she hasn't seen Khaisa in a long time. Jasmine has two children a daughter, Eiko, and a son, Kurtzwick. Jasmine evovled into a dragonair on July 16, 2012 and she is available for breeding. Thanks goes to AquaBabe727 from TPM for this wonderful drawing of Jasmine. Thanks goes to The_Pet_Keeper from TPM for this wonderful drawing of Jasmine. She is very good natured. Yana's name means eternal bloom. In other words, she will never wither, but continue to blossom. I chose this for her because she is shy, very sweet, and every day she grows more and more beautiful. Watching her grow is like watching a rose opening up to the sun. It turns out that she got seperated from her pack, and thats how i ended up finding her in a pile of snow. I asked her if she wanted to join my team and she did. Thanks goes to The_Pet_Keeper from TPM for this wonderful drawing of Yana. Level 26 Female Ninetales with Rainbow Topknot and crystal blue eyes. In the stories this vulpix was rescued from a tiny cage in the Rocket Base when we went to rescue Karin. In reality, she came from the PMBC where she is the daughter of marshmallowegg's vulpix and Angel Blossom's eevee. She is scared of being confined, which I think stems from being confined in that cage for who knows how long. For this reason, she doesn't have a pokeball. She evolved on February 7, 2011. This little guy hatched on June 10, 2004. 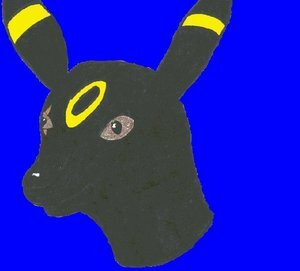 He is the son of T_M_L's umbreon Aries and andyizcool's rainbow maned eevee, Eevee. Though he has only just hatched, I can tell that he has a lot of energy. He is wearing the collar that Jasmine won in the recent water race. His mother's trainer bought him a hidden power TM before he hatched. He hasn't learned how to tap into it yet, which may be a good thing as its type is ghost. Darin loves to explore and get into things that he shouldn't. The Detect TM was a gift from Darin's father (Aries). I expect once he starts battling often, he'll come to make good use out of it. Thanks to Hannah for the icon of colby. This fellow is Tiny's twin brother and the older of the two. Though in the stories he was black from hatching, he really drank a black juice. Colby is Tiny�s older twin by a just a couple of minutes. The two of them asked to join my team in the jungle room after being abandoned by their former trainer. The reason that Colby told me was rather stupid. Colby wanted to evolve into a vaporeon, but his trainer wanted him to evolve into an espeon and was furious when he refused. When the twins are together, they�re a bundle of energy that loves to chase other pokemon�s tails. Their main target of choice was at first Kovu, but now they�ve chosen to target Sugar. When they are separate, which isn�t that often, Colby is the talker. If he�s around, you�ll definitely know it. He achieved his dream of evolving into a vaporeon on March 3, 2005. Thanks to Hexae for this icon of Ebony. Level 20 Female Black Ponyta with Lavender flames that end in a pastel blue and lavender eyes. Ebony is the daughter of Espeon 12's Ponyta, Starbuck, and Discotheque's Ponyta, Twilight. She originally was a member of this team but she felt that she would like it better on anohter team, so as much as i didn't want to i let her go. However, she soon realized that the grass wasn't always greener on the other side and she wanted to come back. After talking with hannah and both our teams, Ayla volunteered to go over to hannah's team so that Ebony could come back. Not much is known about him yet. This little guy just hatched on January 12, 2011. She likes hiding in small, dark spaces, and caught herself on July 16, 2012. Knows: Pound, Meditate, Hidden Power Ice. Proud Moderator of TPM's PCG forum since September 5, 2002. Thanks to Gabi for this icon of Sweetie. Sweetie got her name because she is a sweetie. Her dad is Kovu. She loves to listen to stories about her mother and sisters. She was a normal colored espeon until December 11, 2002. Steve ([Dark Dragonite] gave me a white juice for christmas, and after i asked him if he was positive a few times along with telling him that he didn't have to,) he gave the juice to Sweetie at the Eevee House with my permission. 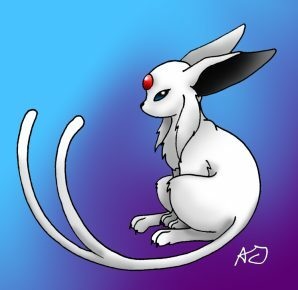 Although she is a white espeon, her jewel is still red. Sweetie has four children with Kyle's jolteon, Electro: a son Blazer, twin son and daughter Aqua and Nocturne, as well as another son Espio. Thanks to The_Pet_Keeper from TPM for this wonderful drawing of Sweetie. Dodger is a volcanic breed of aeridactyl, which means that he has a little more resistence to fire and may be able to yeild it in a small way. His favorite perch is in the rafters at the Eevee houe. If you have ever seen Disney's Oliver & Company, then you know where he got his name from. 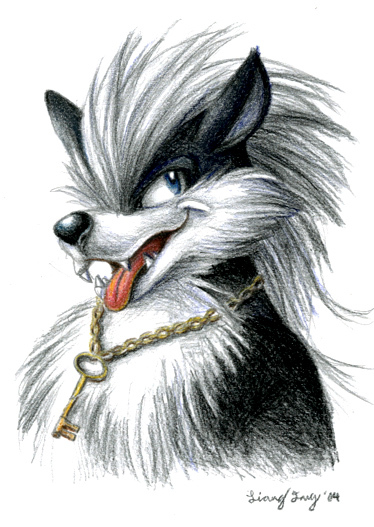 Thanks goes to The_Pet_Keeper from TPM for this wonderful drawing of Dodger. This fellow is Colby's twin brother and is the younger of the two. Tiny is Colby�s younger twin by a just a couple of minutes. The two of them asked to join my team in the jungle room after being abandoned by their former trainer. The reason that I had been told was rather stupid. 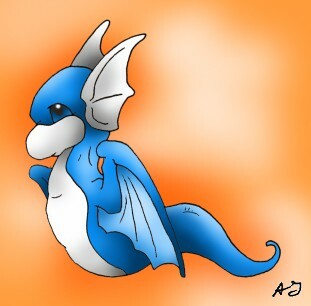 Tiny didn�t want to evolve at all, and Colby wanted to evolve into a vaporeon. Their former trainer got mad and practically screamed good riddance to them. When the twins are together, they�re a bundle of energy that loves to chase other pokemon�s tails. Their main target of choice was at first Kovu, but now they�ve chosen to target Sugar. When they are separate, which isn�t all that often, Tiny is very quiet. He can be in a room and you wouldn�t even know that he is there unless he wanted to be noticed. While on the team, Tiny changed his mind about not evolving. On March 3, 2005 he evolved alongside his brother though he chose to be a flareon. Even after evolving, his tiny size carried over and he is a lot smaller than the average flareon. Tiny recently drank a black juice that ihad received as a gift for my birthday. He wanted to look more like twins with Colby and I was happy to help out the best that i could. This little guy is Sugar's son. He was born during my unplanned extended trip to visit my parents. Not much is known about him as he is still young. Hopefully we will learn more about him soon.